Aer Lingus has announced two new routes to North America. It will fly direct from Dublin to Montreal and Minneapolis–Saint Paul from Summer 2019. Full details are on the Aer Lingus website here. 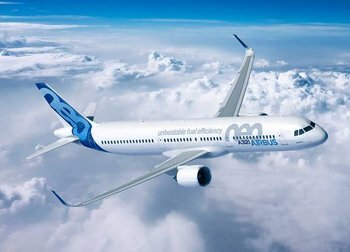 Montreal is due to start on 8th August 2019 with an Airbus A321neo. Minneapolis–Saint Paul launches on 8th July 2019 and will be operated by a Boeing 757 aircraft. Montreal is, I think, the first route to be confirmed with a new Airbus A321neo long-range version. Aer Lingus has 12 of these aircraft on order for delivery between 2019 and 2022. They are capable of flying non-stop to the US and Canadian eastern coasts. What isn’t yet clear is how passengers, especially business passengers, will react to using a single-aisle aircraft normally found on short-haul routes. The business class will be fully flat. Both of these flights will be available for Avios redemption. This HFP article explains the rather complex process for redeeming Avios on Aer Lingus. You CAN still book via avios.com even though your avios.com account may have been closed – this HFP article explains how. You can find out more on the website here. Thanks to Jon for this. The Luxury Travel Fair is back at Olympia in London from 1st-4th November. To be honest, this is not a hugely exciting event. It is essentially just a lot of high-end hotels and travel agents in booths. You don’t, for example, get airlines bringing along their latest business class seats to try out. The fact that they actually charge for tickets is a bit cheeky. However, until 18th September you can order free tickets via their website using code LTFTWO in return for a £2.50 handling fee. If you live nearby then it is worth popping in. We don’t recommend it at the standard price of £20.50, although that also includes entry to the Spirit of Christmas Fair which takes place in the other half of the venue. DUB to YUL should be a nice short flight, so a single aisle aircraft will work. I’d certainly rather be on an A321 neo than a ratty old 757 to MSP:.